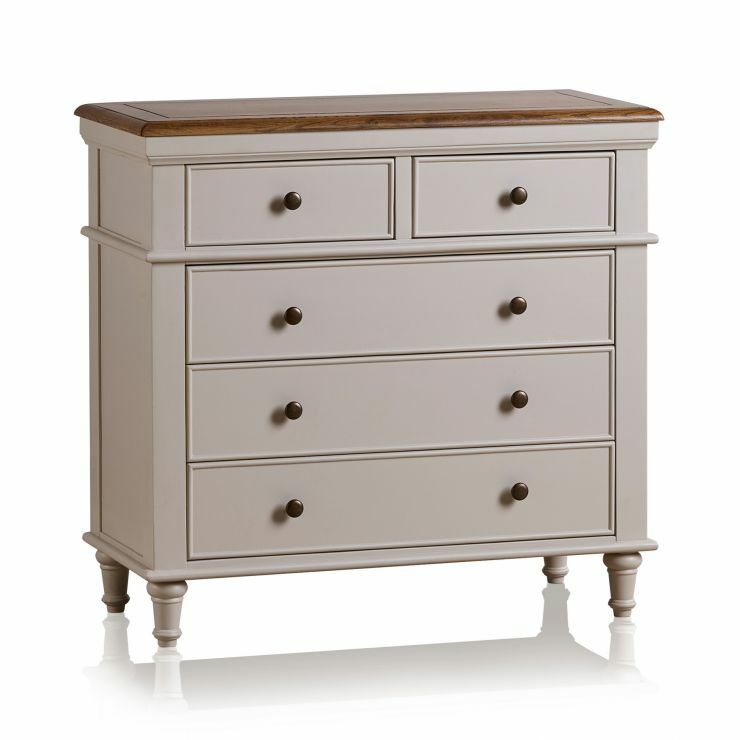 Embodying simple elegance, our Shay narrow chest of drawers aims to bring storage and style into your home. 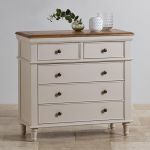 Featuring delicate cornices and pretty turned legs, it brings a refreshing feeling into your bedroom, guest room, or home office. 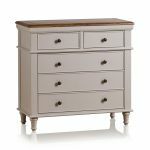 The base has a painted finish in a gorgeous almond grey shade, while the solid oak top features our rustic finish. 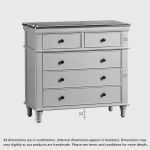 The drawer pulls are made from contrasting dark metal to add visual interest. 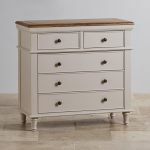 Shay is designed and constructed to our high quality standards, so you know that this stunning piece will stand the test of time in your home. 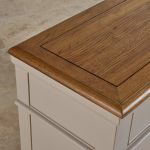 We only use solid hardwood throughout the piece; even the drawer bases, backs, and runners are made from hardwood to prevent warping or bowing. 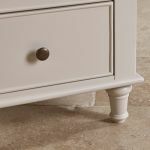 They're also completed with real dovetail joints for added strength and durability. 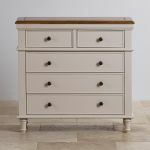 Don't forget to browse the rest of our Shay collection for other great furniture pieces to go with this stunning narrow chest of drawers!